My sister is a volunteer for the local roller derby team. Just saying that highlights how different the two of us are. My sister is all about derby, tattoos, blue hair dye, and zombies. I am a librarian who quilts and knits in her spare time and would never voluntarily have needles stuck into me. But as long as we don’t discuss anything remotely political, we get along really well now that we are adults. Fought ferociously when we were kids, but we’ve recovered from most of that. I’ve really enjoyed her living with us this last year and I’m going to miss her when she moves out next month. Apparently, being a derby skater means having lots of wheels – inside wheels and outside wheels and whatever wheels. She asked me to make her a set of bags to carry the alternates around in. So I made up a drawstring bag to sew. I made little sleeves for cardboard inserts to slip into the bottom for stability. She wanted them removeable so they can be washed. Wheels pick up a lot of dirt. 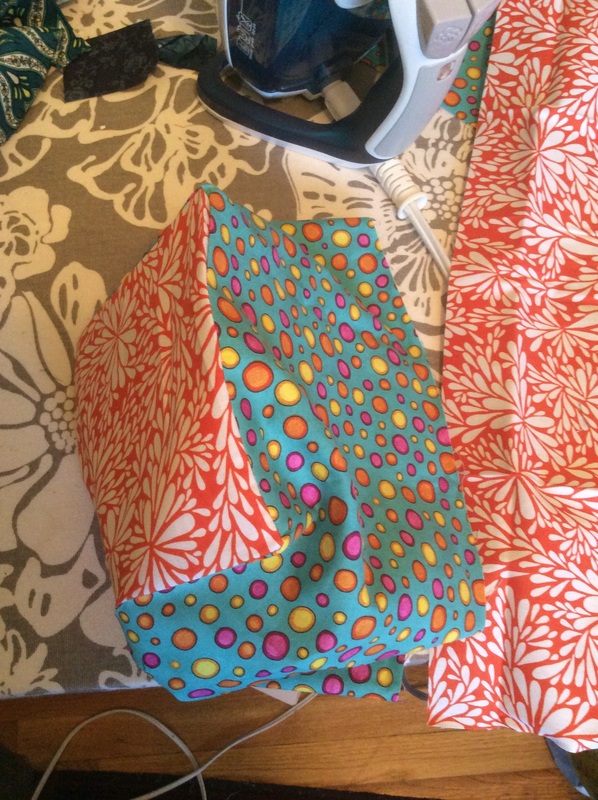 I matched the insert square with square bottoms and sewed a continuous piece of fabric around the edge. 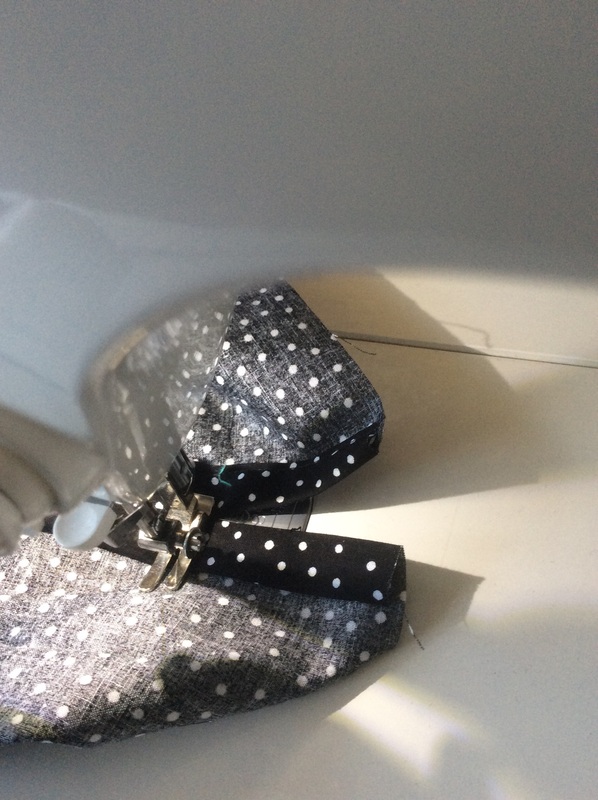 When I got back to the start, I cut it off and them sewed up the side seam. I messed up on the first one and made the cuff too narrow. 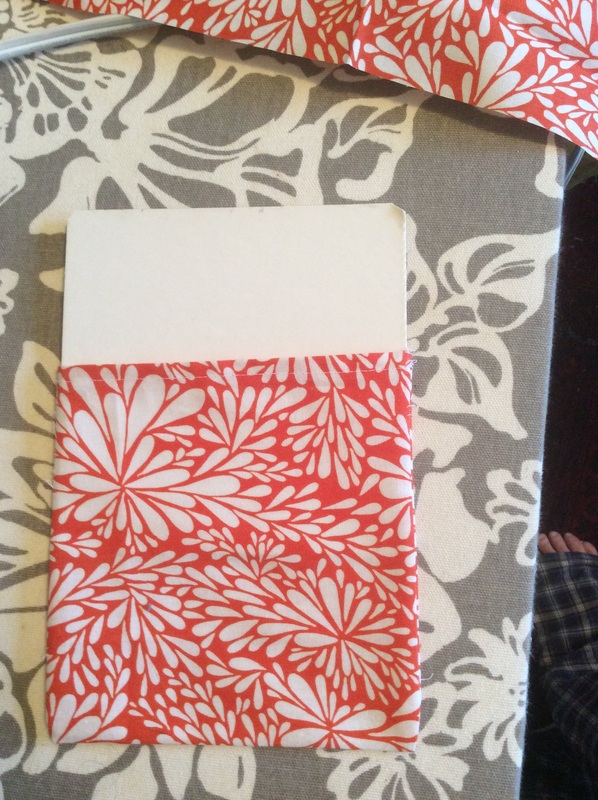 I should have cut the fabric strip about five inches wider, so it is quite stubby. I also didn’t do very well at sewing the opening for the drawstring. I did much better on the second one, as I seamed the cuff ends and then folded over the seam allowance edges on one side where I’d left the opening to make finished edges and sewed those down. 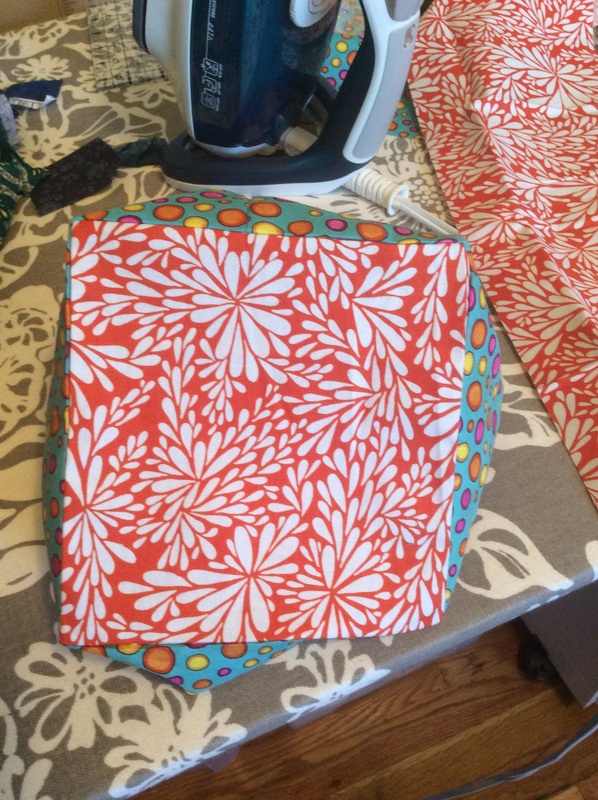 The cuff is doubled – I sewed it to the inside and then folded it over and top stitched it to the outside. Then I stitched around again about half an inch up to make the channel for the drawstring. 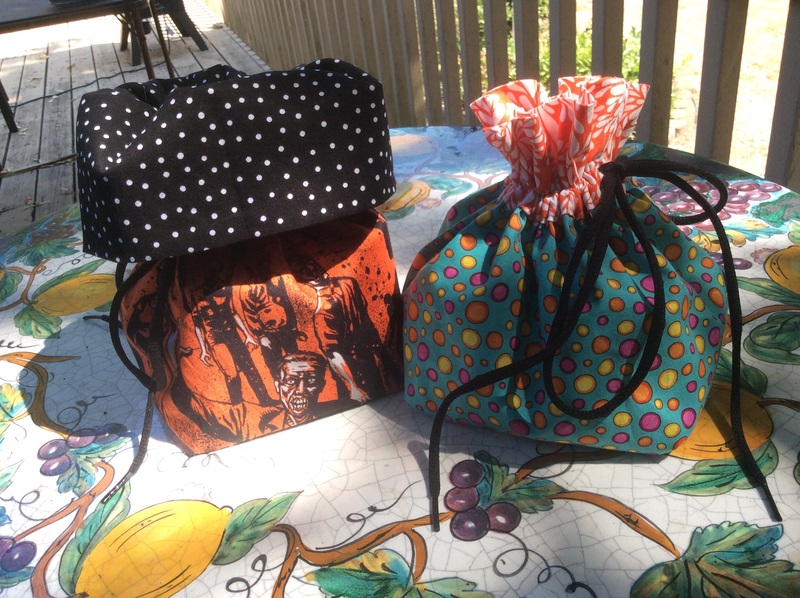 I had some black shoe laces that I used for the drawstrings, though the polka dot bag really needs a white one. The second one, covered with orange zombies, turned out much better. 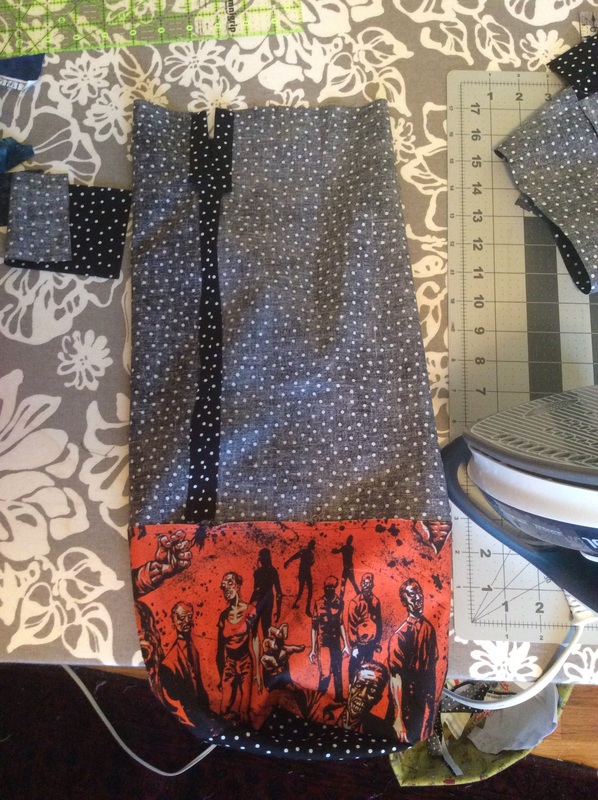 I hate the zombie fabric, but my sister loves it, of course. The cuff is big enough to fold over, and easier to grab and carry. I’ll make a third one with a better cuff to replace the polka dot one and my son can have that one to carry things around in. He loves little bags.